Coming to Key West? why not set up a snorkeling adventure. 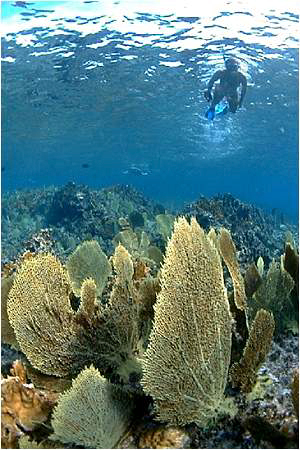 The Florida Keys and Key West are host to the Northern Hemispheres only living coral reef. With hundreds of different types of tropical fish species and over 100 different types of coral. Along the way it is not uncommon to see wild dolphins playing in the boats wake. With the Gulf Stream so close to our proximity the waters surrounding Key West are always Gin clear and full of life and warm water. 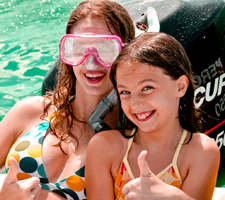 Snorkeling is for everyone here in Key West.. All ages all experience levels and we have pricing to fit any budget. We have per person trips and private snorkeling charters to make anyone happy. Our snorkeling trips offer full instruction with snorkeling gear and floatation devices included. All of our boat crews are extremely helpful and very knowledgeable. Also, our crews are all fully trained to keep you safe out there snorkeling. For a very affordable per person rate these trips join you with a group of others on a 4 hour trip aboard a catamaran sailboat that leaves twice a day. Once at 9:00 am and then at 1:00 pm. Some of these trips offer sunset snorkeling charters as well. The boats are over 50 ft long and equipped with his and hers bathrooms and lots of room, some of these charters offer beer and wine for the ride back. Call for more details. We offer the largest selection of affordable private snorkeling charters here in Key West. A group of 6 or less can book our private charter boats to go on our "Road Less Traveled" trips. Starting at just $525.00 for 4 hour trip for 4 persons. This is truly an adventure in snorkeling. We hit locations that the others just don't go to. We offer special trips to the Marquesas Keys and we are the only company that will go to Looe Key Reef National Marine sanctuary departing from Key West. 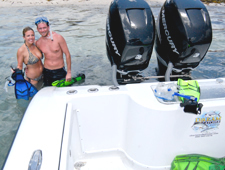 Because we have fast boats we are able to get you there with more time to snorkel. The boats we use are center console twin engine boats equipped with fresh water rinse, bathrooms and satellite stereos. Call for more details about "The Road Less Traveled" private snorkeling charters.